Wiltshire as a county is known for its mystical landscape and as I live in Wiltshire it was inevitable that I was eventually going to discuss it here! So here are some of my pictures from the Avebury area, which include the Avebury Henge, Silbury Hill, The West Kennet Long Barrow and The Sanctuary. These impressive monuments to our country's ancient past can all be found nearby the A4 trunk road as it winds its way from the town of Marlborough to the town of Calne. Pre-dating Stonehenge by about 400 years, the West Kennet Long Barrow was constructed around 3650 BC. The West Kennet Long Barrow is one of the largest Neolithic tombs in Britain, with maximum dimensions of 3.2 metres in height, 25 metres in width and 100 metres in length. The barrow sits atop a chalk ridge and commands a good view over the local landscape and overlooks the nearby Silbury Hill. In its original form, the barrow's sides would have been bare white chalk, making it a very prominent place for people to be buried. It is estimated that the barrow was in use for over 1000 years until around 2500 - 2000 BC when it was closed. Closure of the barrow was achieved by its main passage being filled in with soil and rubble and its entrance being secured by the toppling of the sarsen stones that guarded it. When explored by archaeologists, the barrow was found to be home to at least forty-six burials with the remains ranging from those of infants to the elderly. Today the barrow is covered in turf and the sarsens that once sealed the entrance have been re-erected to their original “open” position. The front part of the barrow is open for visitors to explore and the central passageway and five small chambers can be accessed. The front entrance of the West Kennet Long Barrow. The West Kennet Long Barrow with Silbury Hill in the distance. Looking into the central passageway of the West Kennet Long Barrow. The next oldest site is The Sanctuary on Overton Hill, which is located alongside the A4 and opposite a number of Bronze Age barrows. Construction is believed to have commenced around 3000 BC and the exact nature of the construction and its purpose remains a mystery. It is believed that the initial construction at the site was the erection of six concentric rings of timber posts. Some theories propose that The Sanctuary was possibly a henge type structure similar to Stonehenge or Avebury, whilst others propose that the erect timbers may have supported some form of roof. Excavations have uncovered large numbers of human bones along with evidence of food, so it is very possible that the site was linked to death rites and ceremonies. It is believed that the site was improved over time with increasingly large timber structures being built, with progressive diameters of 4.5 metres, 11.2 metres and 20 metres. Eventually these timber structures seem to have been superseded by two stone circles around 2100 BC. The outer stone circle is believed to have consisted of forty two stones and have a diameter of 40 metres. Today all that remains of the site is a series of coloured concrete posts which mark the locations of where the stones and timbers once stood. Markers showing where the timbers and stones of The Sanctuary would once have stood. The blue markers indicate the position of stones, whilst the red markers indicate where timbers would have once stood. Looking away from The Sanctuary towards Silbury Hill (hiding in the tree line to the left of the gate) and Avebury. The markers show how stones would have formed the entrance to The Sanctuary. From the entrance looking in towards the centre of The Sanctuary. Bronze Age barrows on the opposite side of the A4 from The Sanctuary. Avebury Henge was constructed between 2850 BC and 2200 BC and is an impressively large monument comprising of a bank and ditch system with three stone circles, an outer circle and two inner circles. The earthworks at Avebury consist of an outer bank with a ditch on the inside, which enclose an area of 28.5 acres. The site is divided by four entrances that cut through the earthworks. Today the bank is circa 4.2 to 5.4 metres high, whereas it was originally estimated as being 17 metres high with an accompanying 9 metre deep ditch. It is also believed that the banks and ditch would have consisted of exposed chalk, giving the earthworks a striking white appearance. The outer stone circle is believed to have originally consisted of 98 to 105 sarsen stones, arranged around the perimeter of the site’s ditch. The sarsens would all have been different in their size and shape, with tallest stones being around 4.2 metres in height and the heaviest weighing over 40 tonnes. The outer circle of stones has a diameter of just under 332 metres which makes it Britain’s largest stone circle and also one of the biggest in Europe. The centre of the Avebury site consists of two smaller separate stone circles. The northern circle measures in at 98 metres in diameter and is believed to have originally consisted of 27 standing stones, of which only 4 remain in situ today. The centre of this circle was once home to a “Cove” of three stones. These three sarsens were rectangular in shape and would have been arranged to form 3 sides of a square, with an open side facing north. The southern circle was 108 metres in diameter and is believed to have originally consisted of 27 standing stones. At the centre of the southern circle resided “The Great Obelisk”, which was a large sarsen believed to be up to 6.4 metres tall. The southern circle was destroyed in the 18th century and today the location on which the “The Great Obelisk” stood is marked with a concrete post. 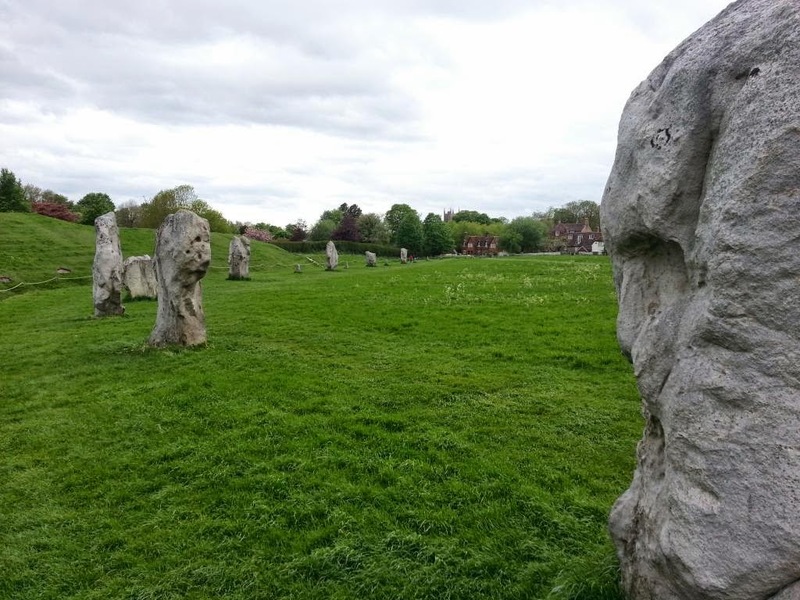 The other striking feature of Avebury is The West Kennet Avenue, which is a an avenue of paired stones, which leads from the southeastern entrance of the henge towards The Sanctuary on Overton Hill and the man-made Silbury Hill. Nobody truly knows why the Avebury earthworks and stone circles were built, but it is commonly accepted that the site was used as a place of worship by the ancient people who created it, and that Avebury formed part of their mystical relationship with the landscape. By the Iron Age, the Avebury site was effectively abandoned, and the coming of the Medieval period saw the site become home to the nascent Avebury Village. 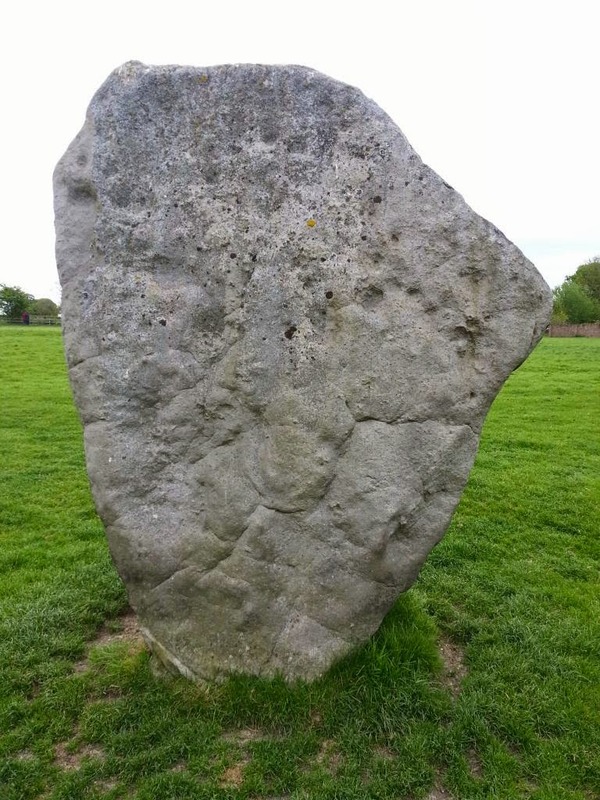 As the population of England converted to Christianity the Avebury site gradually became shunned as being “pagan” and became associated in folk lore with the devil. 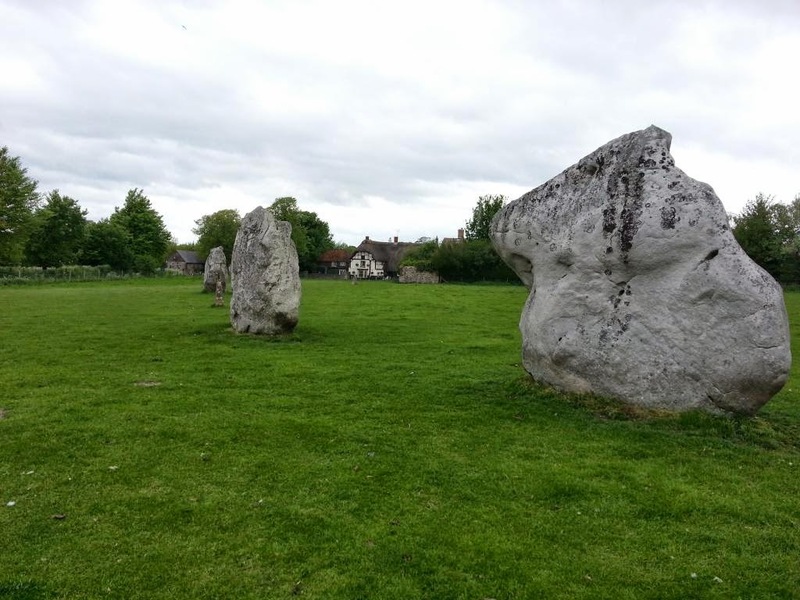 During the 14th Century, these changing religious tastes saw some of the Avebury stones purposefully pulled down, with some of the stones being buried in prepared pits, used to remove them from sight. During this period of destruction one man was unlucky enough to be crushed to death under a 13 ton stone that was being pulled down into a ready-made pit. The body of this poor soul was found by archaeologist Alexander Keiller in 1938, and it is believed that the body was left in situ because the villagers did not have the capability to remove the offending stone to recover the body. Following the death of this man, it seems the destruction of Avebury was halted, possibly due to concerns that vengeful spirits may have toppled the stone in revenge, or possibly due to the arrival of the Black death in Avebury in 1349. The late 17th Century saw the rise of Puritanism and the “pagan” site of Avebury again came under attack. It seems that at this point the majority of the standing sarsens where smashed to pieces and were recycled for use in local building projects. By the mid 1800’s the majority of the standing stones at Avebury had disappeared forever, and with the population of the village booming more houses were beginning to be built inside the henge. In a bid to save the site, the wealthy politician and archaeologist Sir John Lubbock, purchased much of the available land in the monument, and actively worked to discourage further building within the boundaries of the henge. The site was eventually purchased in its entirety by archaeologist Alexander Keiller who wanted to protect the site. It seems that Keiller was responsible for re-erecting some of the fallen stones and clearing parts of the site of old trees and buildings to make more of the site visible. Keiller eventually sold the 950 acres of land on to the National trust in 1943, who have maintained it ever since. A section of the stone circle. More of the sarsens. Does the one on the right look like a face in profile? Silbury Hill sits on the side of the A4 and it looks strangely out of place in the landscape, which is understandable, as it is an artificial mound. Silbury Hill was constructed around 2,400 BC and was predominately made from half a million tonnes of chalk and clay which were sourced from the surrounding area. The hill stands at an impressive 40 metres tall, with a width of 30 metres at its summit and a width of 167 metres at its base, making it the largest prehistoric man-made mound in Europe. Estimates vary as to how long the hill took to build, with some suggesting that the hill took approximately 4 million man-hours to build, whilst others offer an estimate of 18 million man-hours. Either way the construction of Silbury Hill was a significant undertaking and the hill must have been an important project to the people who built it. The original purpose of this hill remains a mystery. Legend suggests that Silbury Hill may be the last resting place of a King Sil. Legend also proposes that the hill was created when the Devil was forced by priests, from Avebury, to drop a mass of soil that he was carrying with the intention of burying the nearby town of Marlborough. However, outside of legend, the intended purpose of the hill remains a mystery. There have been a number of archaeological excavations of the hill from the 17th century onwards, which have included a vertical shaft being sunk from the top of the hill down through to its base, and a horizontal tunnel being dug at the base to the hill’s centre. None of these excavations have found the burial of the legendary King Sil or have been able to resolve with any certainty the purpose of this mysterious man made structure. Silbury Hill as seen from the West Kennet Long Barrow. Silbury Hill as seen from the A4. If you find this post interesting please share it using the buttons below.